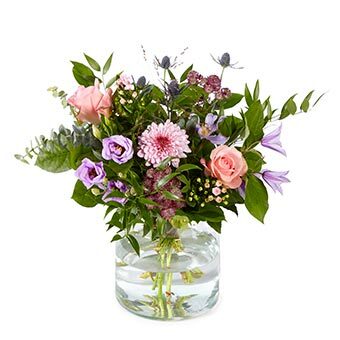 Pretty Pastels: hand-tied bouquet in lilac, pink and white. The flowers and plants are hand-tied by a local florist and can slightly vary from the product image due to seasonal availability, fluctuating purchase prices and differences in the florists assortment. The vase is not included, but can be purchased separately.